A great alternative to a traditional wedding or business retreat, the indoor Pavilion offers seating for up to 260 guests for a wedding and nearly 400 guests for business meetings or other corporate gatherings. 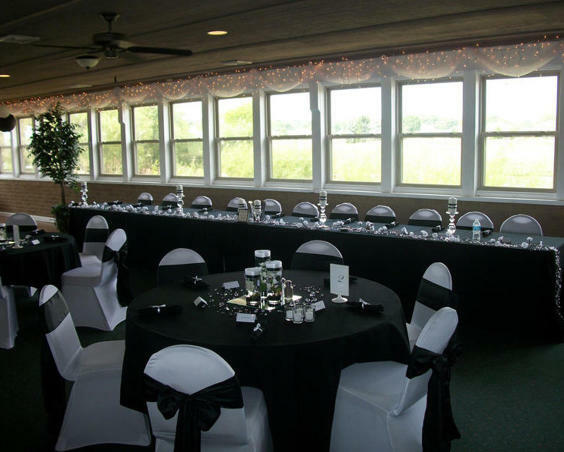 The large room also offers an amazing view of the golf course and a full bar. 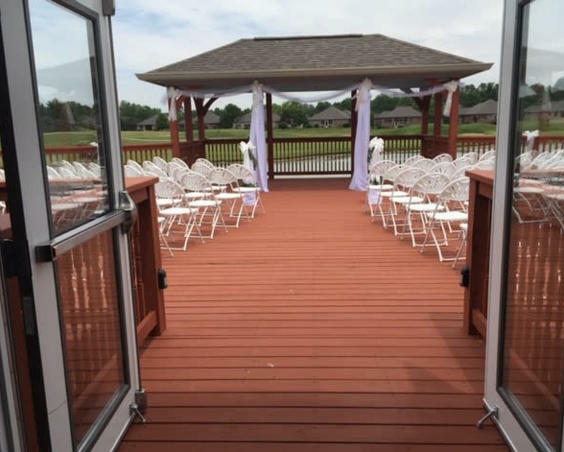 There is a large deck overlooking the 9th fairway and green, water and fountain, that may be used for wedding ceremonies and parties. And for smaller weddings, parties and meetings there are 2 choices of rooms. One for up to 45 person capacity and the lounge with full bar which seats up to 65 persons. Available year-round. Click on the Meeting Facilities tab for more details. 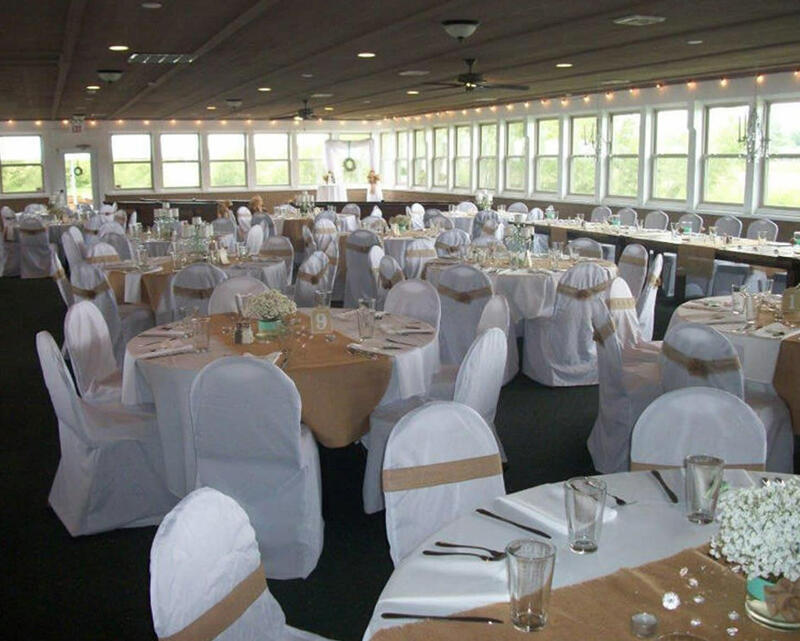 Description The West Chase Pavilion provides one of Indianapolis' west side larger Banquet Facilities and Meeting Rooms, West Chase Pavilion can handle the largest party events or business conferences. Wedding Venue Details The pavilion offers a picturesque view of our West Chase Golf course, decorated in soft natural colors. It is the largest facility in Brownsburg that offers alcohol. West Chase provides very lenient time frames to meet your party's requirements. We have a full kitchen in our facility which provides our caterers many options for menu selections and food quality. The Banquet Facility will seat up to 390 people for business meetings or other presentation type events.